1. Click to add a check mark to the box next to "Configure Blocks." 2. 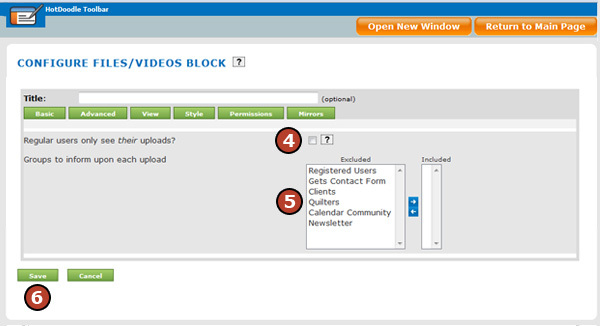 Click on the "Config Files/Videos Block" link above the Files/Videos Block. 4. Click to add a check mark to the box next to [Regular users only see their uploads?] to limit the files visible to users. If this option is unchecked, all files will display for download.